This is the moment chaos was brought to Walsall town centre as revellers brawled in the streets. Punches were thrown in the crowds as fights broke out at around 5am on Saturday in Bradford Place. A man was stabbed as violence flared in the streets forcing cars to veer around the crowds. Ambulance staff treated the 20-year-old victim at the scene before he was taken to hospital. 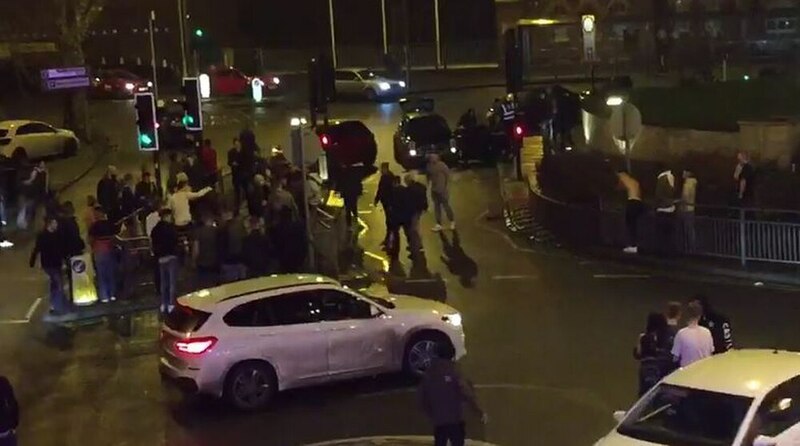 Footage shared on social media shows fighting on the roads close to Walsall Cenotaph. Crowds of revellers stood in the Bridgeman Street near UNIT nightclub, recently known as Vogue.